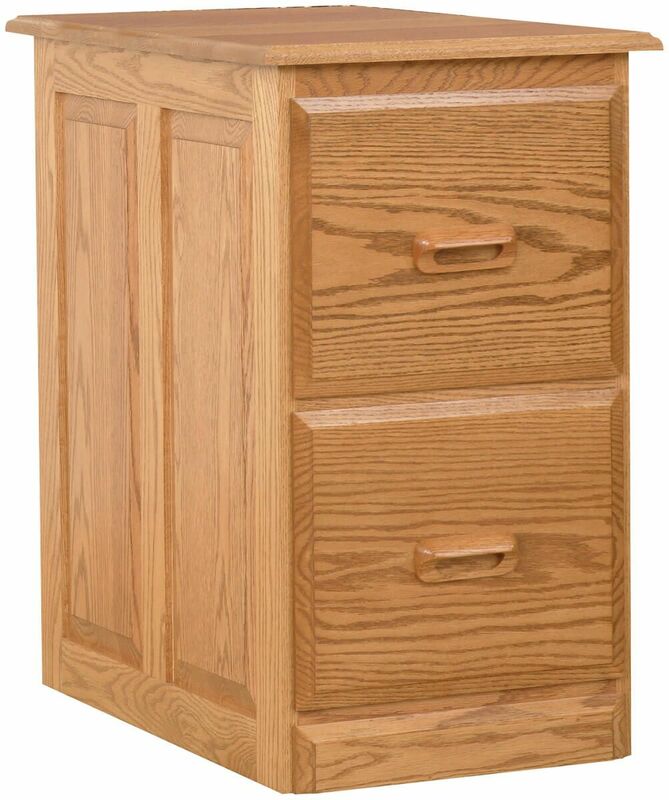 Add lasting appeal to your decor as well as plenty of storage for your office papers with our Amish handcrafted Lake Wales Small File Cabinet. Avoid mass produced furniture by purchasing Countryside's handcrafted, solid wood pieces expertly crafted by our Amish artisans. Store your letter-sized files in our space-saving Lake Wales Small File Cabinet. Two dovetailed drawers are constructed on full extension slides ensuring easy access to your most important documents. For additional storage solutions, be sure to browse through other items in the Lake Wales collection. Carefully hand rubbed and completed with a catalyzed finish to ensure durability, this hardwood file cabinet is sure to last you a lifetime. Our stylish and timeless Lake Wales Small File Cabinet is built to the highest standards and with the strictest attention to detail. Make your style selections and let Countryside get started on yours today.